Browse content similar to 09/01/2018. Check below for episodes and series from the same categories and more! sides for over two years. When will the lesson be learnt? he had lost his job. the Prime Minister not to move him. than the Prime Minister, Mr Hunt? There were a few new faces too. but not in senior roles. And one will be notably missing. the right thing to do was. such a wide pool of talent. of the past 12 months. it didn't quite go to plan. to a bit of a bumpy start. of a new university regulator. comments he had made in the past. is one of those storms. Alex Forsyth, BBC News, Westminster. Norman Smith, is in Downing Street. the Prime Minister than yesterday's? of trail of two reshuffles. notice? The answer is, probably not. for more than two years. the US. Richard Galpin, BBC News. the South Korean capital, Seoul. the talks was extremely friendly. deal of scepticism here as well. is at Liverpool Crown Court. tended to repeat the way he behaved. club where he had worked as a coach. in Mill Hill, in North London. and in Sheffield this morning. their children have been published. Sian Lloyd has the details. to say where they stand on smacking. wants to see it banned. public to contribute to the debate. from behaving a certain way. you know, a big whack. Sian Lloyd, BBC News, Cardiff Bay. in the last week of 2017.
began nearly three years ago. Lorna Gordon, is in Glasgow. How unexpected are these figures? Our top story this lunchtime. as she refreshes her government. And coming up - going for gold. calendar starting in Las Vegas. to draw more than 170,000 people. and is just learning to walk. Hey Sofia, can we shake hands? Oh, really good to meet you. you think you are as a robot? me at the robot I am. people into thinking I'm human. We are aspiring towards this. that it can be done? follow its owner around the airport. and helpful, or so the belief goes. across town all on its own. after the law was changed last year. Hywel Griffiths reports from Sydney. public is right behind them. have been in your life. ...to be my lawfully wedded wife. and open minds in this country. accept us as the family unit we are. the new definition of marriage. 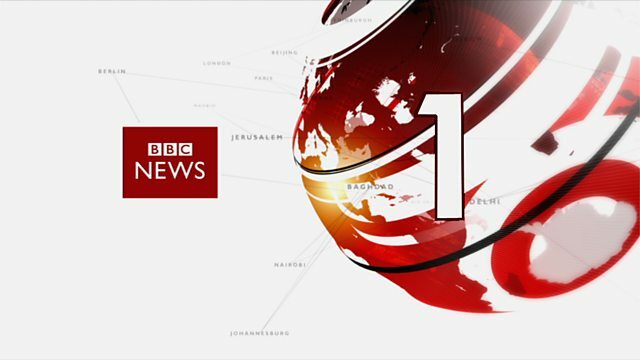 Hwyel Griffiths, BBC News, Sydney. such as body scrubs and toothpastes. by fish and other marine life. into force later this year. quit as Deputy First Minister. should be cut by a third. Mark Devenport, BBC News, Stormont. down after the 2019 Ashes Series. about his decision a year ago. in the Ashes Series in Australia. February's Games in South Korea. and at the 2014 Games in Sochi. it is an area we can grow. fun if it pays off. who's stepping down from the role. falls in love with a water creature. revelations of the past few months. I am at one of the -- ow! are stranded? Zer mat at the moment. the avalanche risk is very high. put the brakes on the weather front. could see sunshine. A cool day. the day. That is the latest weather.